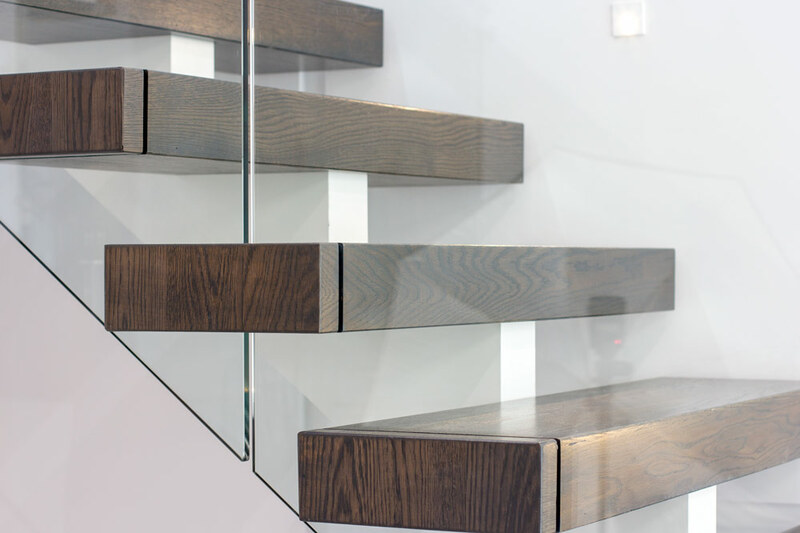 A spine like steel under mount stringer supports metal steps which are later wrapped with box like wood liners. 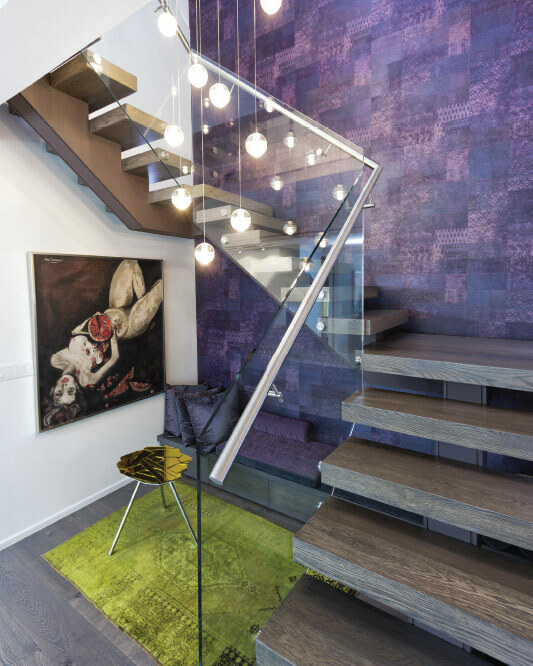 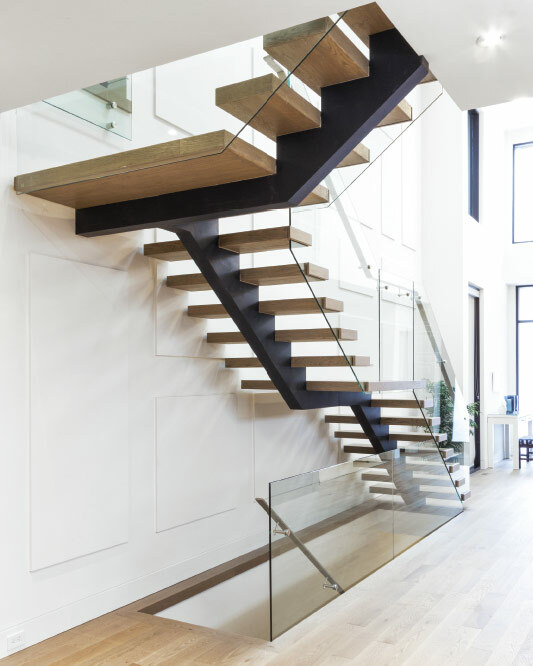 Metal stringers are usually painted steel but may be stainless steel or wood veneer. 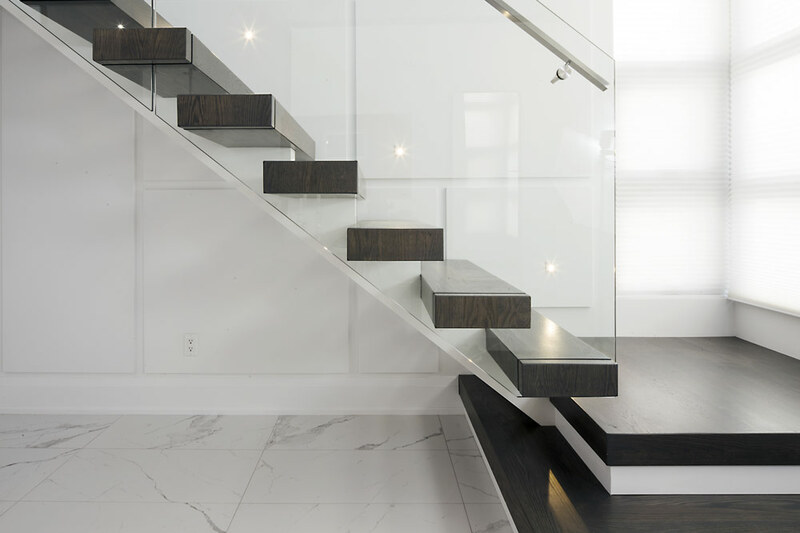 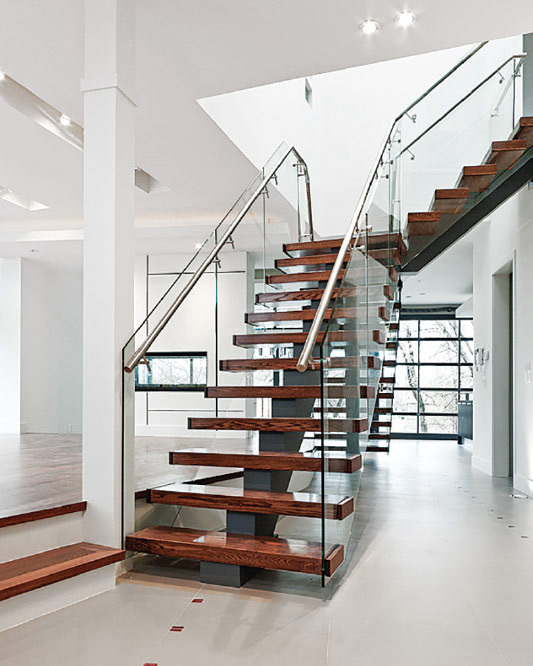 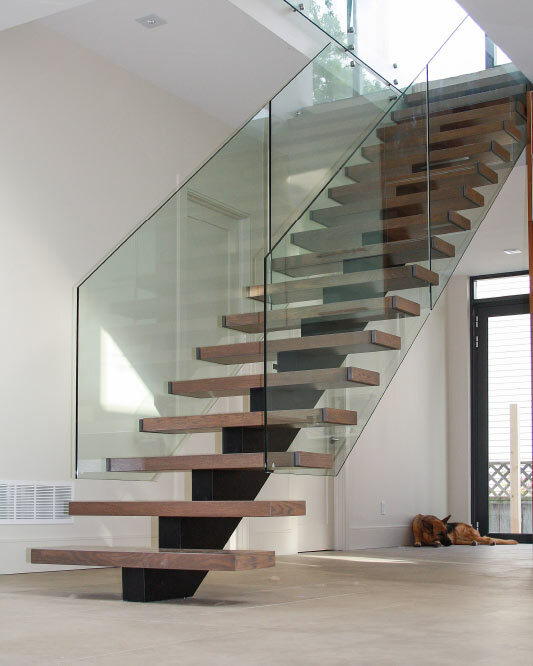 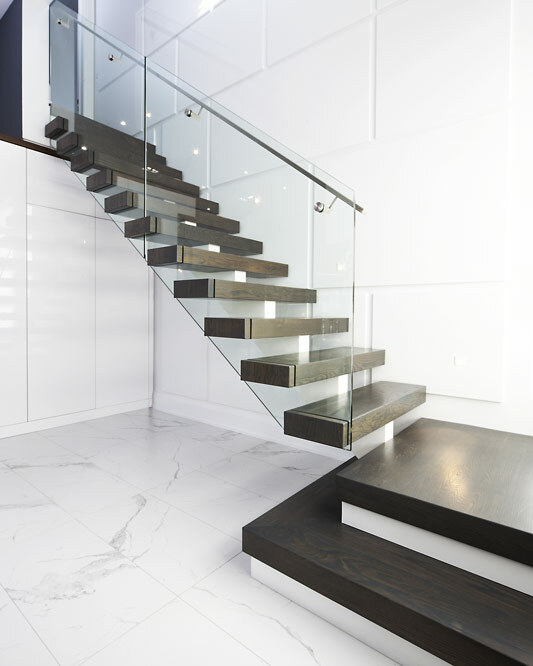 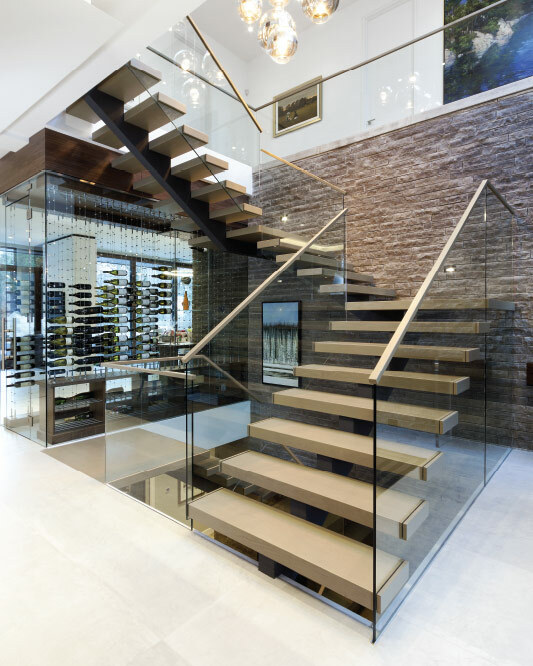 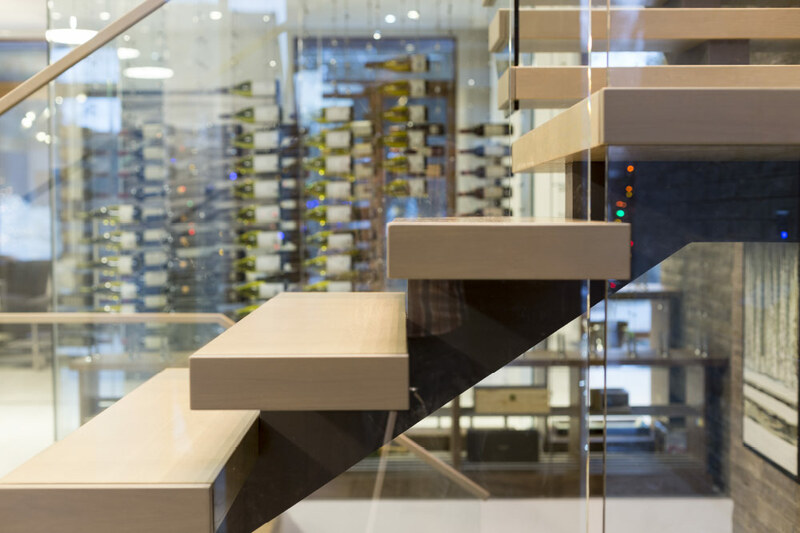 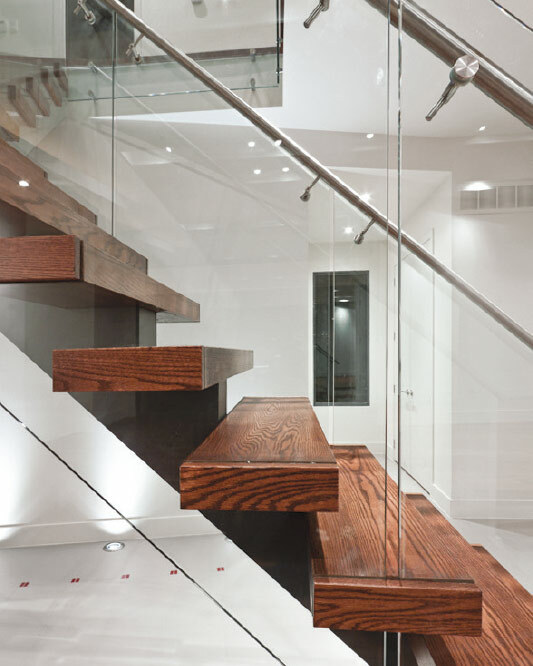 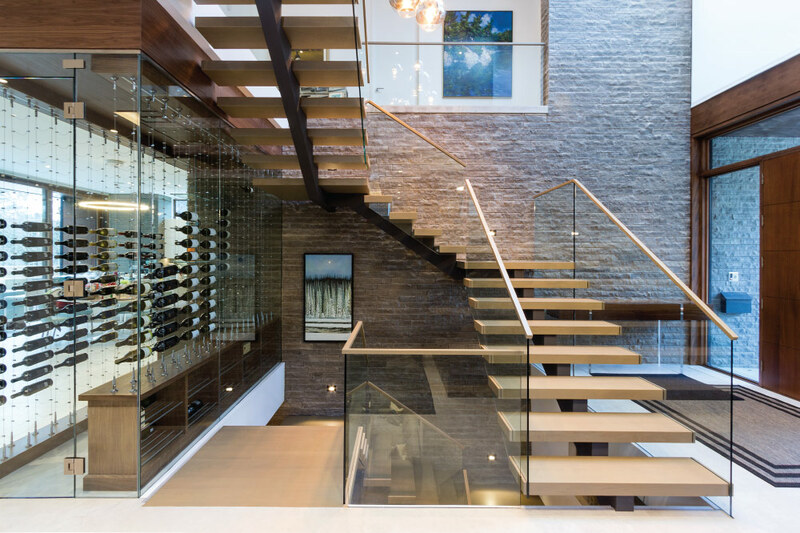 A glass guard may be secured to the metal steps. 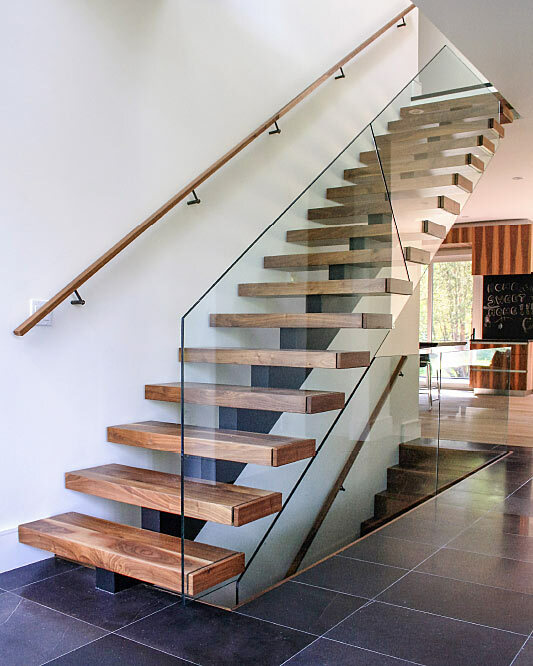 Glass securing hardware (cylinder shaped stainless steel standoffs) may stay visible or be enclosed in the wood step box for a cleaner look. 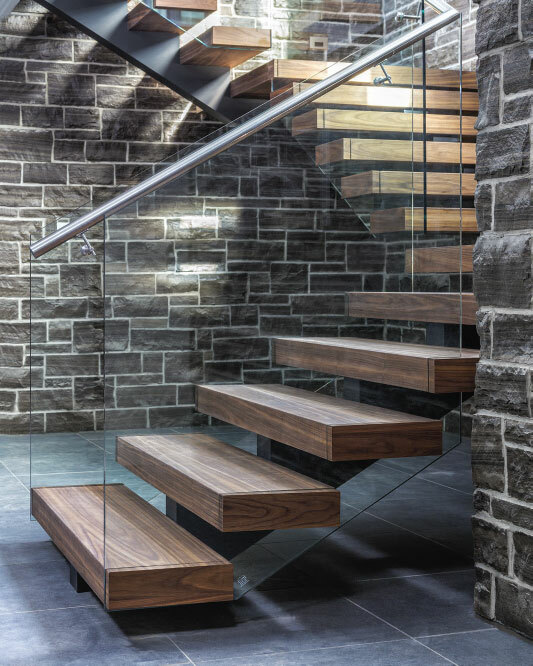 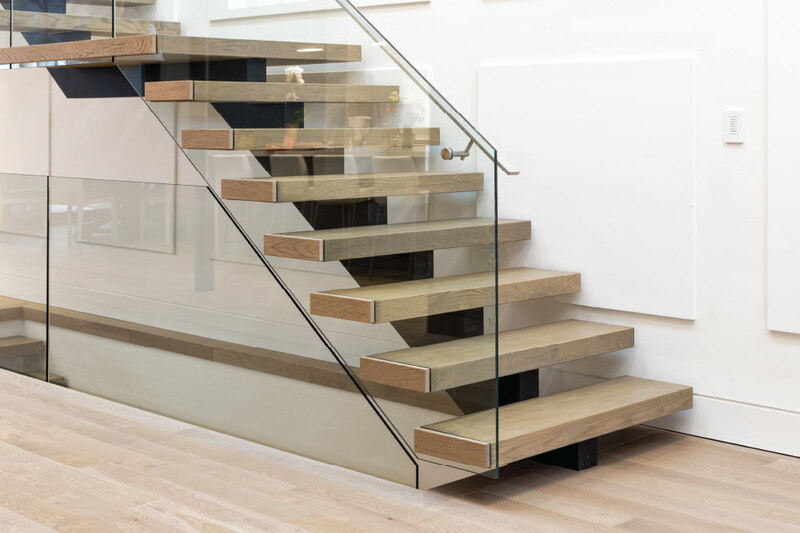 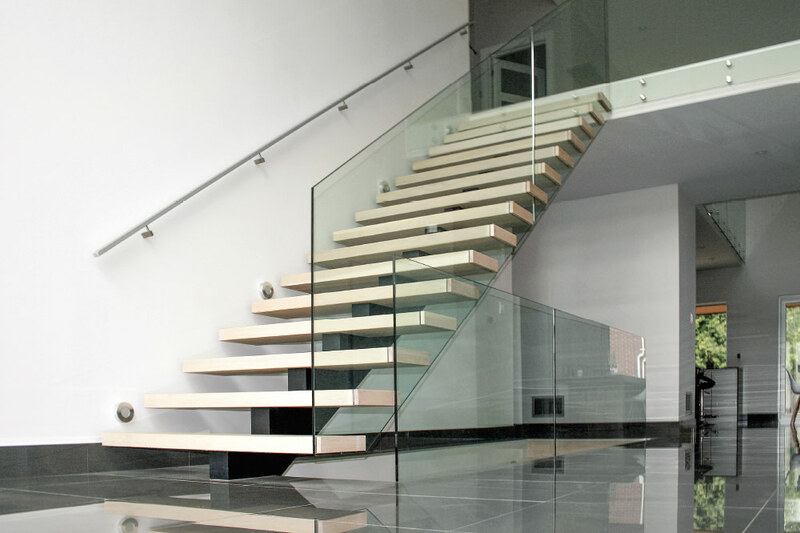 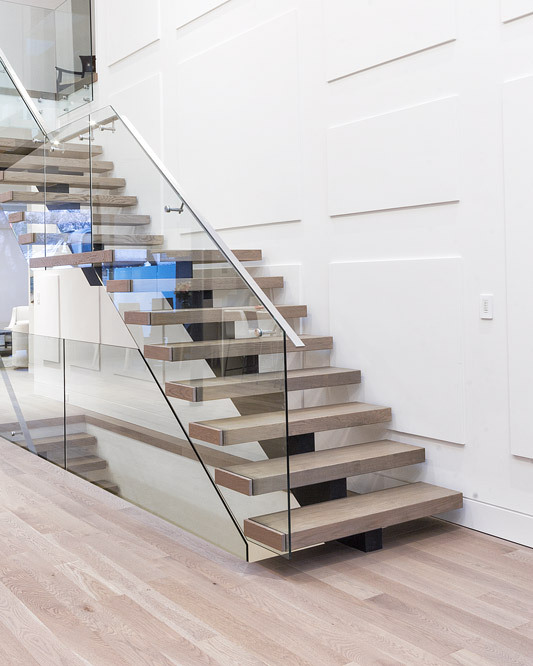 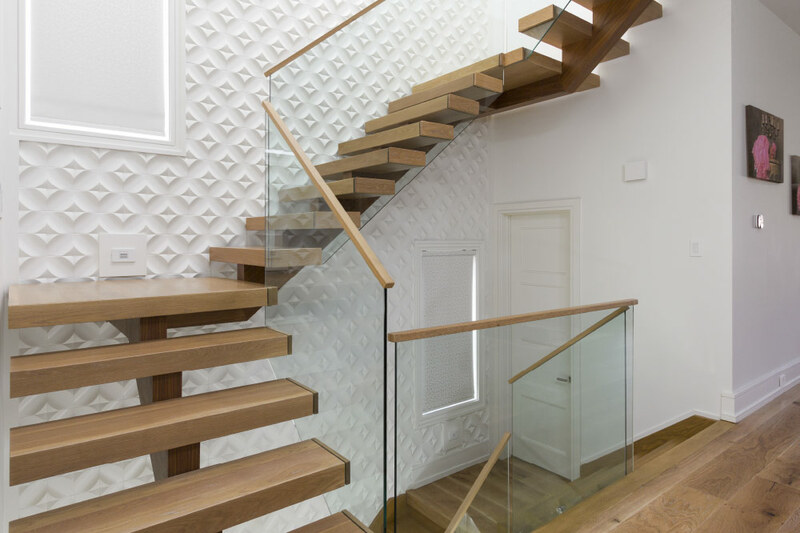 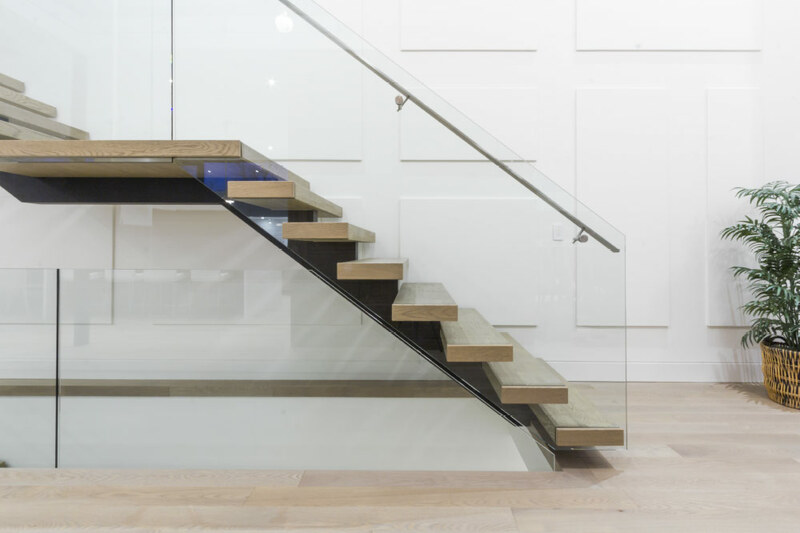 By default, the steps are 3-3/4” thick and the stringers are from 4-1/4" - 5-1/4" resulting in a proportional and harmonious look and a strong and transparent structure.